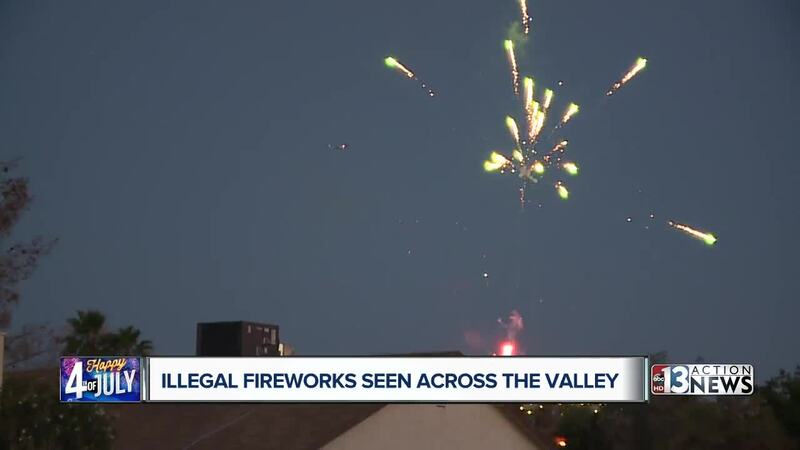 Clark County is reporting the number of illegal fireworks complaints rose almost 5 times from 5,000 Wednesday evening to nearly 25,000 Thursday morning. There were 24,895 complaints filed on ISpyFireworks.com. However, the new website did not reduce the number of calls to 911 and 311. The #YouLightItWeWriteIt campaign ended with 50 citations and one arrest. Capt. Odd Raybuck said the investigation of each citation is time-consuming. He said the campaign was successful in some ways, largely in people realizing the dangers of illegal fireworks. 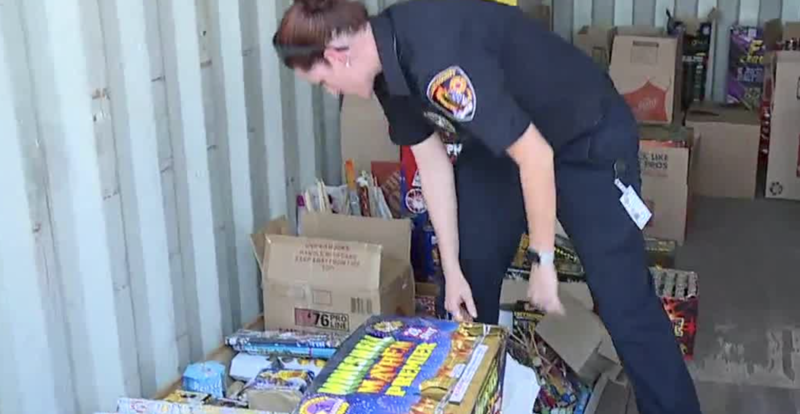 Clark County officials said this is the most extensive enforcement against illegal fireworks in more than two decades. About 2,100 pounds of illegal fireworks were confiscated. In addition, there were about 54,000 calls to Las Vegas Fire & Rescue, down slightly from 2017 when there were about 56,000 calls. However, fire responses were up from 127 last year to 137 this year. LAS VEGAS (KTNV) -- Standing on the east side of the Las Vegas valley it appeared fireworks were booming over every neighborhood as far as the eye could see. Hundreds of people parked alongside the road near Frenchman Mountain to watch the fireworks show that many have become accustomed to throughout the years. Not everyone was happy about the displays, including those who say every year they have to clean up the mess after others launch illegal fireworks. "She's had her trees set on fire. I'm the third home over we've had mortars in our backyard, hitting our house," Brian Green said. Green said he would likely have more than a dozen mortars laying in his backyard Thursday morning from the illegal show nearby. 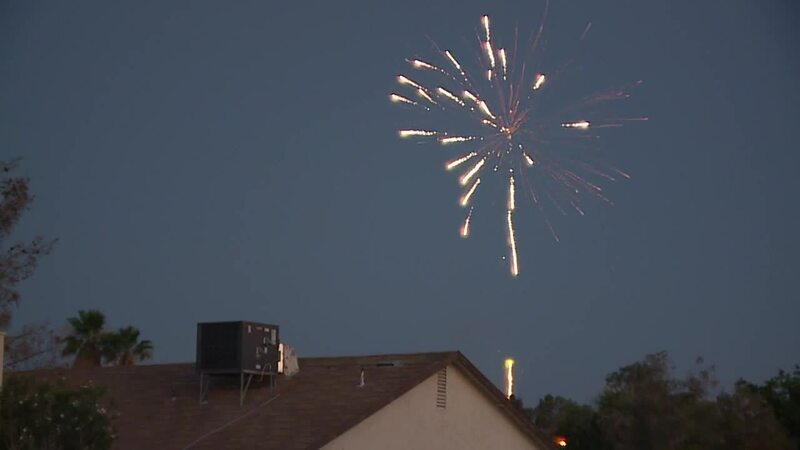 Las Vegas police know people like Green are frustrated saying they received more than 5,000 complaints on the newly created ispyfireworks.com website before sunset on Independence Day. 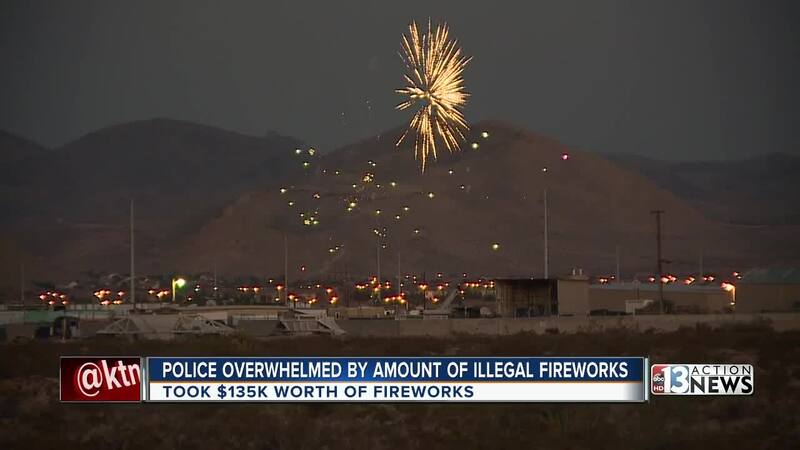 The newly created task force consisting of Las Vegas Metropolitan Police Department officers as well as fire investigators from the Clark County and Las Vegas fire departments were using those complaints as they hit the streets to crack down on the use of illegal fireworks. There were around 50 bodies total on the task force, leaving one body for every 100 complaints before the night started. Leaders know that is not enough, but said they need to start the process of educating people which includes a $1,000 fine for those caught plus the cost of disposing of the fireworks. "Writing a citation gives us an opportunity to impress upon the public that this is serious," Capt. Todd Raybuck said. A crew with one of the groups highlighting a half-dozen busts before midnight. But a simple glance over the valley showing that work was had little immediate impact as the thousands of fireworks seemed to be bursting in the air over Las Vegas every couple minutes. Those lighting off the illegal fireworks saying they thought there was very little chance they'd be caught. "We'll hear them if they are coming close and stop right away and put them in the house," an unidentified man using illegal fireworks said of the crackdown. Police acknowledging the crackdown is a work in progress saying they will re-evaluate the task force after its inaugural effort to make improvements for 2019.